One thing that has always been prevalent in my family is story telling. I didn’t really realize how important of cultural ideal it is for us until I got married and had a child. It was then I realized that Hannah had picked up the story telling gene. She wants to tell a story every night complete with turning off the lights, and every story has different players and components but always start the same way. “One night in the cold west……” I am not quite sure where she picked that one up from, but nevertheless we listen intently as she animatedly tells her story. I think the dinner table has been pivotal in my life. It’s where we gather and get together to tell the story of our days, really that turn into our lives. My wife and I have developed a bit of a reputation for telling stories in our family. I usually exaggerate and she laughingly corrects my story and this produces belly laughs all around. We love eating and making lasagna in my family. I don’t know why but more often than not I can remember these belly laughs being produced around a few hot steaming pans of lasagna. Once I asked my Mother what her secret was to her sauce. I love her lasagna. 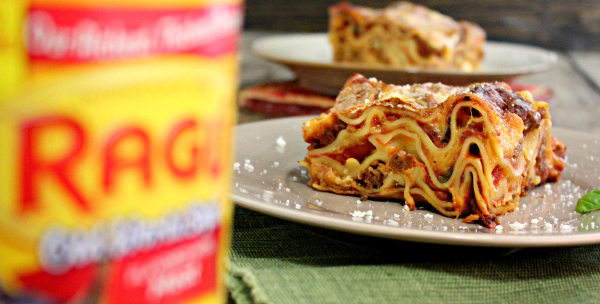 Its meaty, and the sauce has the right amount of flavor and tang, all to go along with cheesy goodness! I half expected her to tell me that she slaved away for days on the sauce and that it reduced by half “x” number of times. But to my surprise she said, “You want the honest answer?” I said, “Of course!” She said, “It’s Ragu!” I was almost aghast is shock and disbelief. Could it really be that simple??? All the time her secret was deliciously available to me right there on the grocery shelf. I mean that is #Saucesome ! 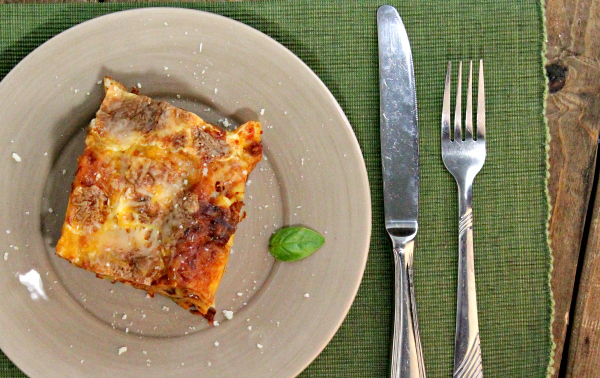 I went home after family dinner that evening and I set out to recreate my Moms lasagna. I wanted to create some #Saucesome experiences of my own with my family! I went to the store and bought some cheeses that I like in my lasagna and two jars of my favorite Ragu sauce along with some ground beef. I made my way home and started in to recreate my Moms lasagna. Now I browned the beef with some onion, salt, and Italian spices and then drained any excess fat. I then poured the Ragu sauce in and let it simmer to warm in through. 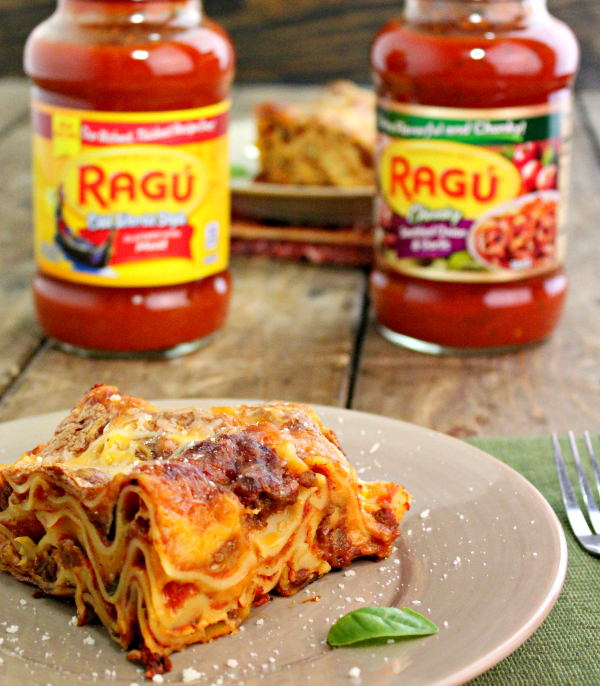 I gave it a taste and wow I was blown away, my Mom’s secret really was Ragu! I continued on to assemble the lasagna and place it in the oven. About 30 min later I had a delicious and tasty lasagna on my hands. We sat down to the table and I was met with smiles all around. With everyone enjoying their meal, story time began! Here we are in the middle of our own #Saucesome experience! I can say I felt a sense of pride in knowing I would be hearing those words, “One Night in the Cold West….” Hannah would look back on her childhood and remember these #Saucesome experiences with her family! I will make sure to tell her to use Ragu!!! 2 cups of your fave cheese per layer ( I usually have 3-4 layers with one layer being only cream cheese. Brown ground beef in a pan with spices, and onions. Drain any excess fat. Add in Ragu Sauce and heat through. You can choose to boil your noodles if you like. But I don’t I cook my lasagna for 40-45 minutes and have plenty of sauce so that the noodles cook in the sauce. If you don’t like yours as saucy I would definitely boil the noodles first. Put one ladle of sauce on the bottom of the pan then layer in first layer of noodles. Completely cover noodles with sauce and then spread softened cream cheese over that layer. Repeat process the same way adding the other cheeses until your reach the top of your pan. Enjoy!!! I LOVE lasagna! This recipe seems to be so easy. Thanks for sharing it with the readers of your blog! Wow! That looks so good. 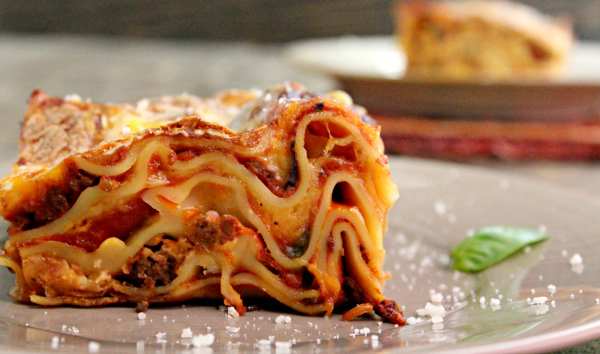 I hope its not just because you take good pictures of your food 🙂 I am going to try this recipe the next time I make lasagna. One of my favorite things to make and eat of all time! 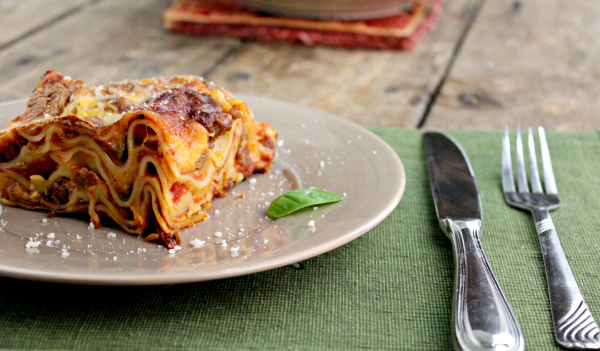 Lasagna is the best and with this recipe, it has become even better! Ragu is my favorite! I am so glad that I found this recipe. Thanks for sharing it, looks so good!